Synopsis: This biography follows the ups and downs of Florenz Ziegfeld, famed producer of extravagant stage revues. Did You Know? Despite being billed second, Myrna Loy doesn’t appear until after two hours into the movie. Quotables: SANDOW: If you wanna pay me some of my back wages, I’ll take you to dinner. ZIEGFELD: Well, I’m not that hungry. Where today’s Hollywood thinks, “The more visual effects, the better!” Hollywood of yesteryear seemed to think, “The longer the runtime, the better!” But if you have to fill the void of story with several unnecessary and long dance numbers that only stymie the story, then perhaps you ought to rethink the length of your film. 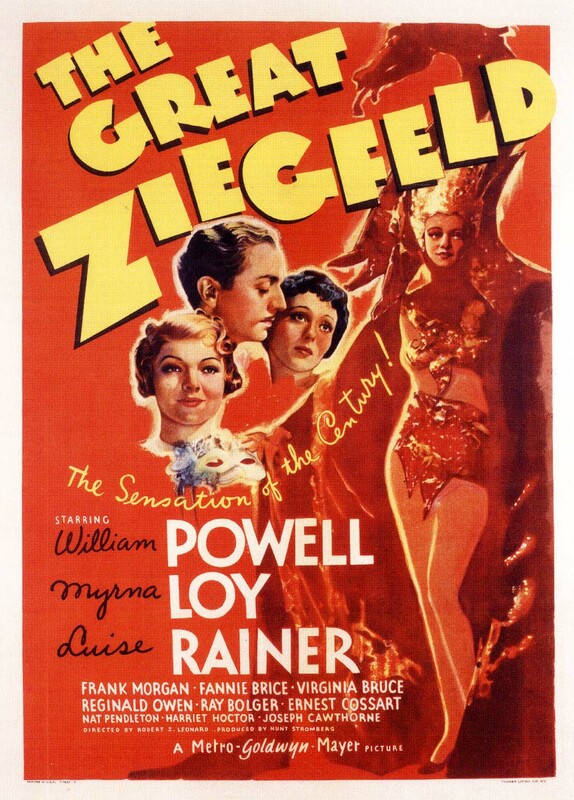 Such is the nature of The Great Ziegfeld, which I was anticipating considering that it’s a film from the 1930’s about Broadway. I appreciated Luise Rainer’s performance very much, but other than that, the film fell flat for me.